Surround yourself with Custom Homes, Local Casino's, Golf, Entertainment, Winery, Shopping and Restaurants! Call Crisann Conroy RE/MAX Advantage for Details. The Castle is a once in a lifetime property. My partner and I have been in the real estate business for a combined forty years, we have made hundreds of real estate transactions but very few have ever amazed us like this one. 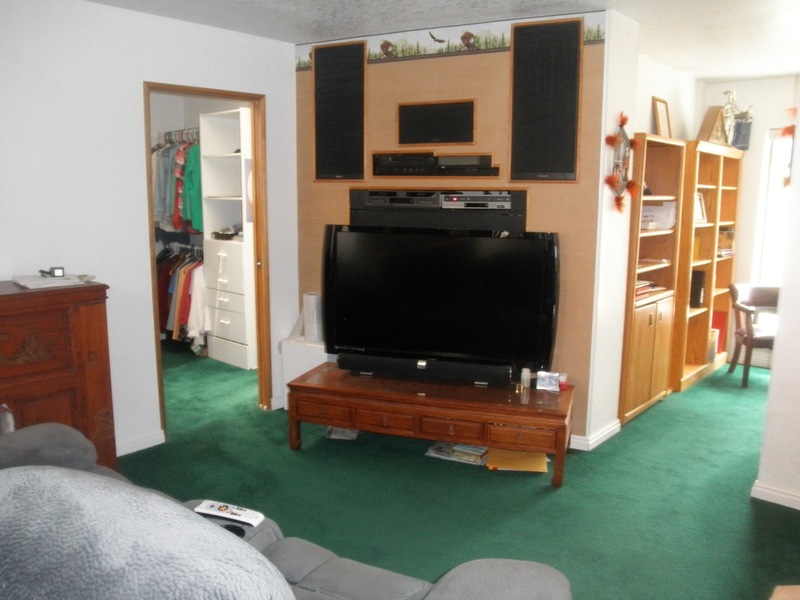 This property must be seen to be believed. It is the kind of property that stays in families for generations; it can’t be duplicated elsewhere, because the terrain is some of the most stunning on Earth. 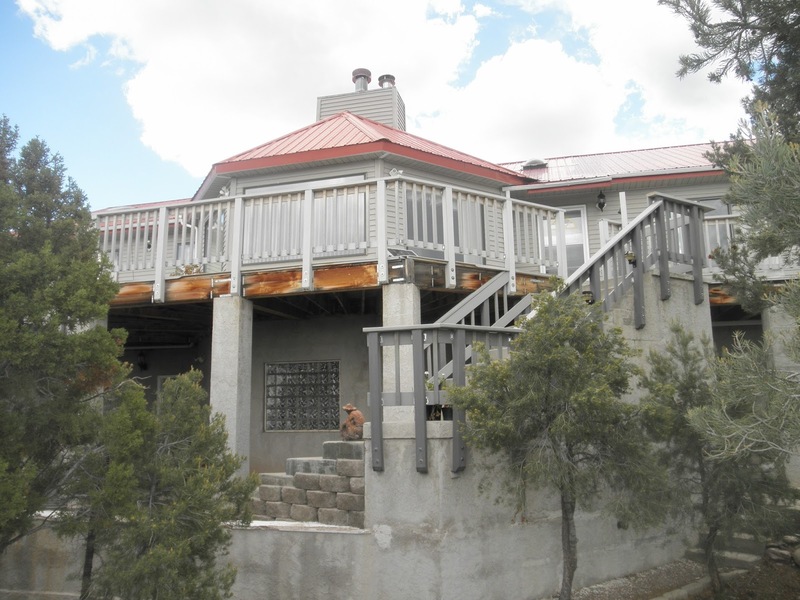 The property is situated at over 6,000 feet of elevation on the Mt. Wilson Peak in Pioche, Nevada, two and a half hours north of Las Vegas by car. Mt Wilson is the tallest peak in the Bristol Range at 9,300 feet and is the background for the estate. In the winter it is snowcapped and stunning. 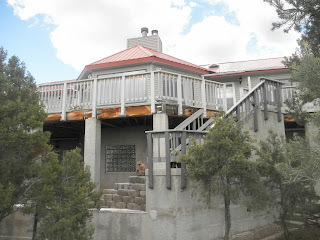 The front of the 4,300 square foot, five bedroom property faces west overlooking the Great Basin which is half a mile below and opposite Roe Peak twenty three miles away. 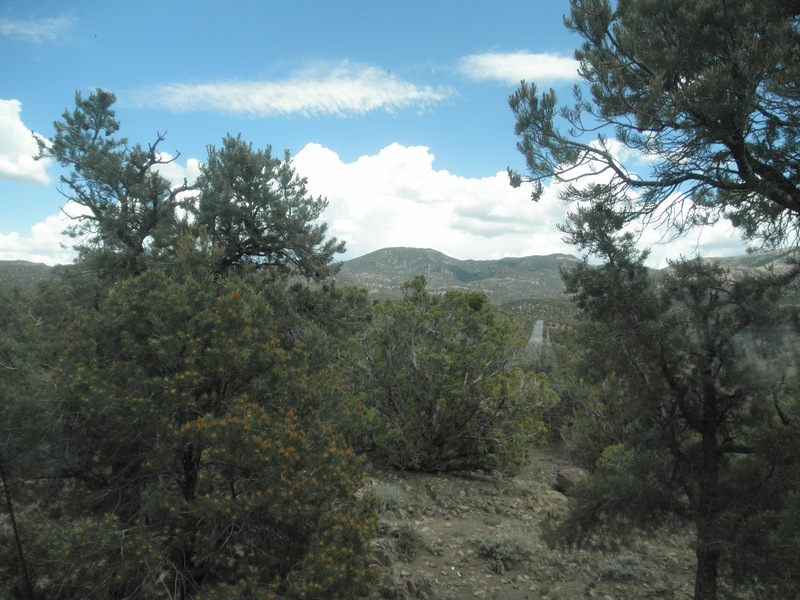 The view across the Great Basin is unencumbered, and Roe Peak is also snowcapped in the winter. Looking North and South along the Great Basin you can see for almost eighty miles. Because the Great Basin is all BLM land you never have to worry about any development changing your view. The interior of the estate is just as beautiful as the view. 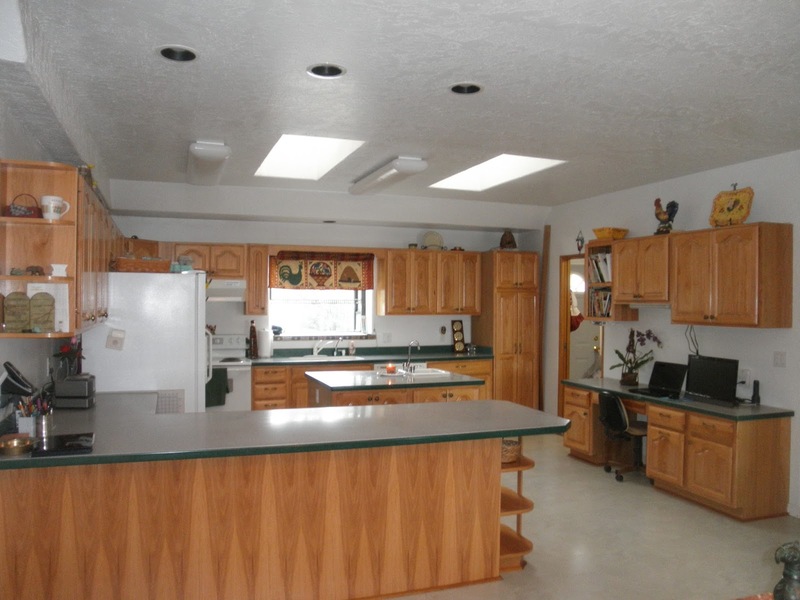 The home was built in 1996, and sits on 35 acres. With an option to purchase an additional 11+ acres. 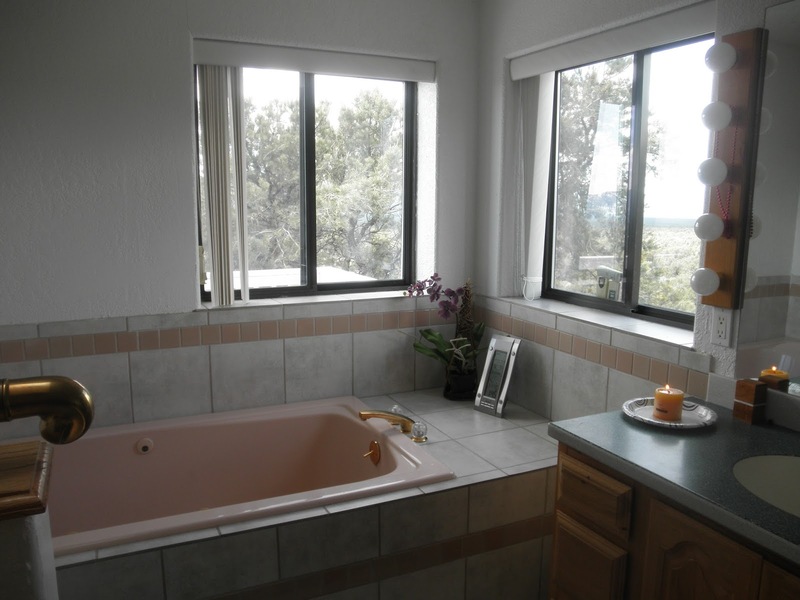 The top floor of the two-story home has a master bedroom with a full bath, enormous his and her walk in closets and four guest bedrooms that have a full bath to service them. It has an office that opens up to a view of Mount Wilson, a spacious kitchen that also views Mount Wilson and a living room that overlooks the Great Basin and a view of Roe Peak. The top floor is surrounded by a walk out patio deck that can be used for viewing, dining or entertaining your guests who won’t be able to take their eyes off the scenery. The lower floor features a large living room with a wet bar, a reloading room, exercise room, and a pantry that could store years of goods and a full bath; the space could be reconfigured to add another three bedrooms. The lower floor exits to the two car garage. As you move down the driveway you see the RV garage that will store almost any RV, house ATV’s, or any other vehicle you might want to store. If you install a lift it could easily turn it into a four car garage. The house is equipped with high speed internet and cable TV. The activities that are available within an hour’s drive of the estate are as numerous as you can imagine. Hunting, fishing, bird watching, biking, golf, horseback riding, snowmobiling, ice skating, skiing, ATV and off road riding, hiking, historic sites and towns, Wild West ghost towns. There are Gold Prospecting Tours in the area, anything you want, name it and it is here! Lincoln county airport is forty minutes south of the estate; it is capable of handling up to small twin engine jet aircraft and helicopters. That makes it ideal for travel from any city in the West or Midwest. From San Diego it is seven hours by car. Los Angles six hours and Phoenix seven hours, Salt Lake City is less than four hours, Twin Falls Idaho is five hours away, and Reno is less than six hours. How should buy the estate? The estate is perfect for anyone that wants the ability to get away from it all, but still wants to stay in touch with the world. It is perfect for a “workacation”. The estate makes a perfect generational get away, with its large master bedroom and four guest rooms; it is perfect for grandparents with the grandchildren. 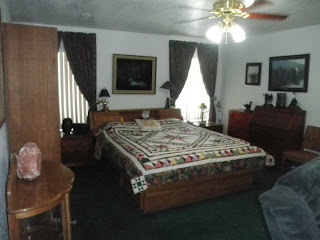 The potential of a "Hunting and Fishing Lodge Bed and Breakfast". It is also ideal as a Corporate Retreat and for entertaining business clients who want to get away but still stay in the loop. Travel by air to all major cities in the U.S. is less than six hours, and on the west coast less than three hours away. How can I see the estate?